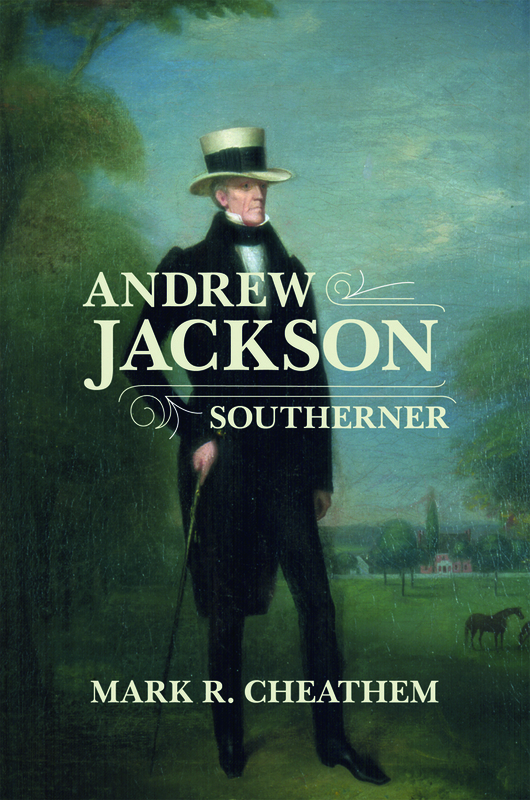 LSU Press has given me permission to post the introduction to Andrew Jackson, Southerner. The 1828 presidential election was one of the nastiest in United States political history. Andrew Jackson’s campaign accused the incumbent, John Quincy Adams, of being a pimp and spending the people’s money to fund gambling in the White House. Adams was many things—stiff, dour, pious, the son of a president, an accomplished diplomat—but a betting whoremonger he was not. The Adams campaign fought back by charging Jackson with numerous criminal acts: He had fought illegal duels that resulted in the death of a prominent man and ignored the pleas of several of his soldiers when they faced execution for desertion. Foreigners had also suffered from his wrath, as Jackson and his army had waged a war of extermination against the southeastern Indians and their British allies in the 1810s. Jackson’s private life was not exempt during the 1828 campaign either. He stole another man’s wife, critics claimed, and brazenly lived with her before she was divorced. He was a “trafficer in human flesh,” buying and selling slaves and turning a blind eye when his overseer stabbed to death one of the slaves at Jackson’s Hermitage plantation. The Adams men warned that voters would regret making a president of this murdering, home-wrecking, slavetrading, southern dictator. Political protocol dictated that Jackson could not directly counter these attacks, but he did not sit by idly as they came his way. Jackson organized his political network to justify his actions as honorable, and its members offered an aggressive defense. He had fought duels to protect his and his wife’s reputations. He had allowed the execution of his soldiers because to do otherwise invited mutiny and the destruction of his army. He had prosecuted the war against Native Americans and their allies because the United States needed the southeastern lands to secure its borders. Even his marriage to Rachel was honorable. Jackson had saved her from an abusive husband, and they had believed, wrongly it turned out, that her divorce was final before they married. Other accusations, such as the slave-trading charge, were dismissed simply as deliberate attempts to manipulate the truth for political benefit. Turner was wrong. While the Waxhaws region into which Jackson was born was considered the backcountry, it was closely tied to the lowcountry region of Charleston, not the trans-Appalachian West. The American Revolution unified backcountry and lowcountry South Carolinians even more, creating a distinct American identity even as the war tore apart many families, including Jackson’s. Turner was also mistaken in his claim that Jackson “grew up” on the Tennessee frontier. There is no question that Jackson faced the frontier and its many challenges, but the core of his identity had already been formed by the time the twenty-one-year-old lawyer arrived in Nashville in October 1788. 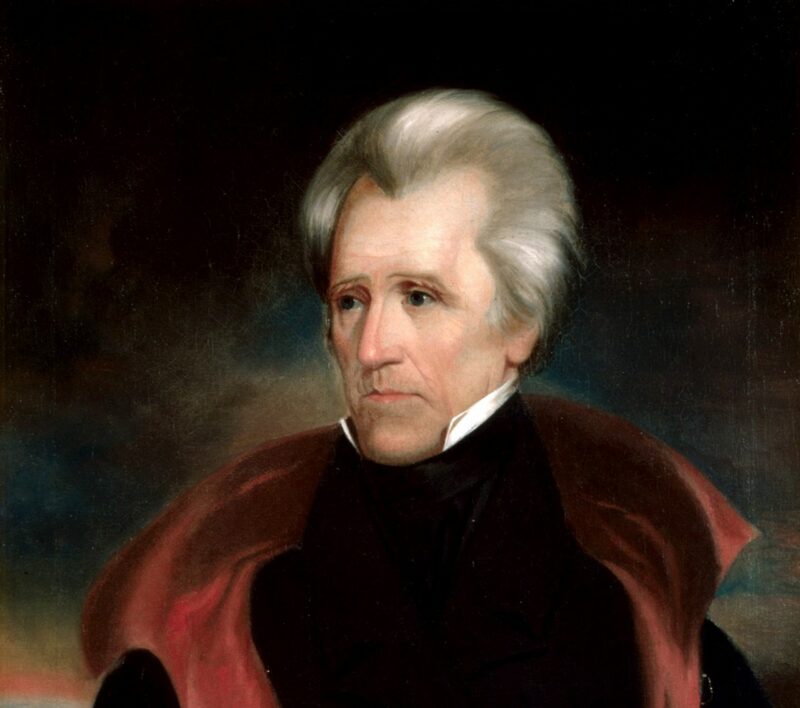 Although most scholars describe Old Hickory as a westerner, as representative of the trans-Appalachian frontier, Jackson was truly a southerner. He was born and raised in the Waxhaws region of the most southern of states, South Carolina, where he learned that the path to success included building an influential social network, choosing a career in law, and acquiring land and slave property. In Tennessee, Jackson worked toward becoming a southern planter and gentleman, although his enemies would have disputed the latter. His desire to live as part of the gentry was ever present, even as he defeated the British at New Orleans in 1815, ascended to the presidency in 1828, and built the Democratic party in the 1830s and 1840s. Jackson’s propensity toward violence, defense of honor, enslavement of African Americans, embrace of kinship, and pursuit of Manifest Destiny created a southern identity to which many contemporary white southerners, elite and nonelite, could relate. One of the greatest ironies of Jackson’s life was that his identification with the South laid the foundation for the Civil War. Even though the idea of Indian removal preceded him, his actions as general and president accelerated the process, opening up southeastern lands to white settlers intent on making money from cotton. Jackson opposed disunion in 1832 and 1833, yet his longtime pursuit and support of Manifest Destiny helped drive a wedge between northerners and southerners and exacerbated the slavery debate. He supported the annexation of Texas, which, when accomplished, set off a chain of events that made slavery the crucial issue in the congressional debates over westward expansion and led to the nation’s division. 1. Frederick Jackson Turner, The Frontier in American History (1920; repr., New York: Dover, 1996), 252–253. Turner and his disciples seem to have embraced the characterization of Jackson that emerged from the War of 1812, which allowed “supposedly uncivilized [backcountry] settlers . . . [to be] transformed into hardy, courageous American frontiersmen” (Matthew Rainbow Hale, in “Interchange: The War of 1812,” JAH 99 [September 2012]: 527). 2. John Spencer Bassett, The Life of Andrew Jackson (New York: Macmillan, 1911), xii; Frederic A. Ogg, The Reign of Andrew Jackson: A Chronicle of the Frontier in Politics (New Haven: Yale University Press, 1914), 114; Thomas P. Abernethy, From Frontier to Plantation in Tennessee: A Study in Frontier Democracy (1932; repr., Tuscaloosa: University of Alabama Press, 1967), 123–124; John William Ward, Andrew Jackson: Symbol for an Age (New York: Oxford University Press, 1955); Arthur M. Schlesinger Jr., The Age of Jackson (Boston: Little, Brown, 1945); Richard B. Latner, The Presidency of Andrew Jackson (Athens: University of Georgia Press, 1979), 5. 3. Lorman Ratner, Andrew Jackson and His Tennessee Lieutenants: A Study in Political Culture (Westport, Conn.: Greenwood Press, 1997); Andrew Burstein, The Passions of Andrew Jackson (New York: Knopf, 2003); Jon Meacham, American Lion: Andrew Jackson in the White House (New York: Random House, 2008); Sean Wilentz, The Rise of American Democracy: Jefferson to Lincoln (New York: Norton, 2005); Daniel Walker Howe, What Hath God Wrought: The Transformation of America, 1815–1848 (Oxford: Oxford University Press, 2007). 4. Robert V. Remini, Andrew Jackson, 3 vols. (New York: Harper & Row, 1977–1984); William J. Cooper Jr., The South and the Politics of Slavery, 1828–1856 (Baton Rouge: Louisiana State University Press, 1978); William J. Cooper Jr., Liberty and Slavery: Southern Politics to 1860 (1983; repr., Columbia: University of South Carolina Press, 2000); Bertram Wyatt-Brown, “Andrew Jackson’s Honor,” JER 17 (Spring 1997): 1–36; Bettina Drew, “Master Andrew Jackson: Indian Removal and the Culture of Slavery” (Ph.D. diss., Yale University, 2001), 2, 4; Matthew S. Warshauer “Andrew Jackson: Chivalric Slave Master,” THQ 65 (Fall 2006): 202–229; Hendrik Booraem, Young Hickory: The Making of Andrew Jackson (Dallas: Taylor, 2001). Robert Remini also addressed Jackson’s views on slavery in general terms in The Legacy of Andrew Jackson: Essays on Democracy, Indian Removal, and Slavery (Baton Rouge: Louisiana State University Press, 1988). 5. Aaron Scott Crawford, “Patriot Slaveholder: Andrew Jackson and the Winter of Secession,” Journal of East Tennessee History 82 (2010): 10–32; Sean Wilentz, “Abraham Lincoln and Jacksonian Democracy,” in Our Lincoln: New Perspectives on Lincoln and His World, ed. Eric Foner (New York: Norton, 2008), 76–77; Roy P. Basler, ed., Abraham Lincoln: His Speeches and Writings (Cleveland: World Publishing, 1946), 588–589; First Inaugural Address, 4 March 1861, in Richardson, Messages and Papers, 6:5–12. Wonderful, Mark. A insightful update of Jackson and his times. I look forward to reading the rest of the book.